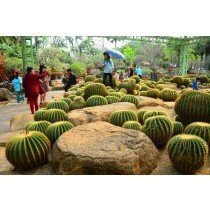 ThaiTourismGuide.com offer VIP van rental with drivers to travel in Thailand. We also offer FREE Wi-Fi for our customers. Our Chauffeur driver is well selected and take care of foreign tourists politely. They all have driving license legally to drive safely and expert all travel routes. They can speak English very well so you don’t have to worry about communication problem. 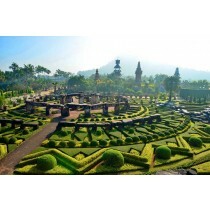 Our Chauffeur drivers are expert in Bangkok route and all travel destination such as Bangkok to Khao Yai, Bangkok to Hua Hin, Bangkok to Ayutthaya, Bangkok to Pattaya, or Bangkok to Kanchanaburi. We offer new vans with average less than 18 months and all vans are clean with inspected regularly according to Thailand’s law. 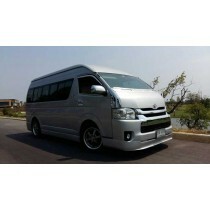 ThaiTourismGuide.com’s private van rental with driver is suitable for 4 to 10 tourists with big luggage. We offer van rental with driver for golf tour, business travel, factory visit or travel with family. You can be sure to get to your destination quickly and safely with your family or friends. You can also ask for child seat if you have a baby. ThaiTourismGuide.com also offer 24 Hour Phone Support in case of emergency to help our customer during travelling in Thailand. With our online chat, you can ask for our special deals and customize your trip on demand. To make sure that your plan will be considered individually, you can send us your Itinerary or ideas where you want to visit via our contact form on “Contact Us” page.